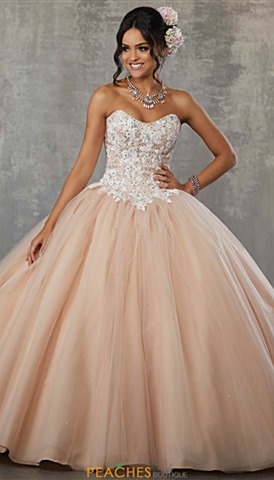 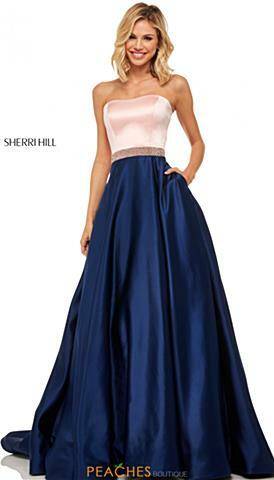 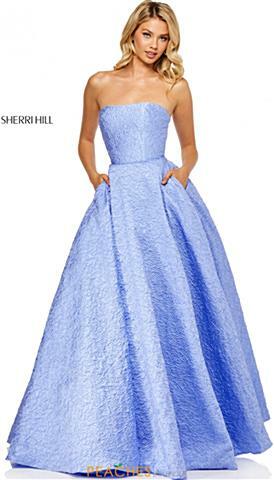 Strapless homecoming dresses are classic and timeless, the strapless neckline can either be straight across, the popular sweetheart style, or a modified sweetheart in which there isn't a deep plunge. 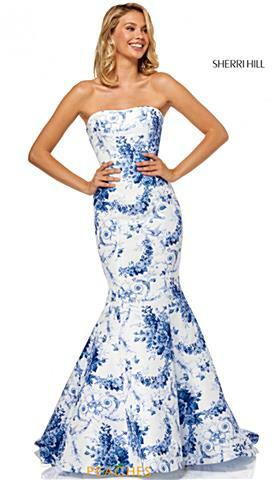 Whether you are modest and want only a sliver of cleavage or fearless and want to show off your natural curves, a strapless dress is always a stunning choice. 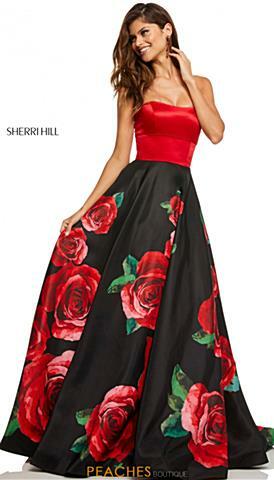 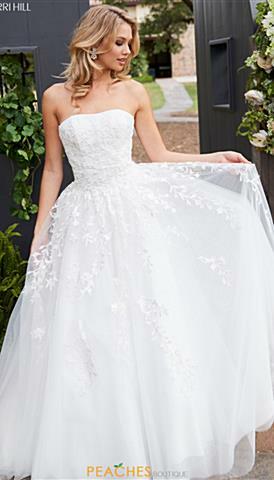 The beauty of strapless gowns are that they offer a sense of sophistication and glamour without any arm restriction that you might deal with on a one shoulder or off the shoulder full length gown. 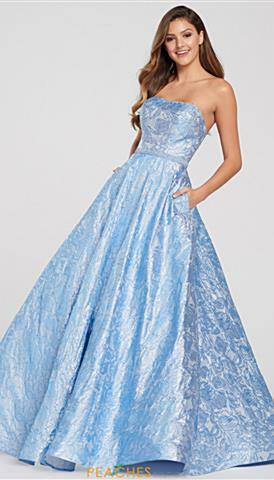 You can choose from an array of prom dress silhouettes that feature a strapless neckline whether you want a figure hugging mermaid, a princess like ball gown, or an enduring fit and flare A-line chiffon gown. 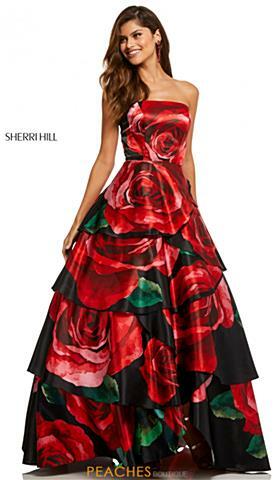 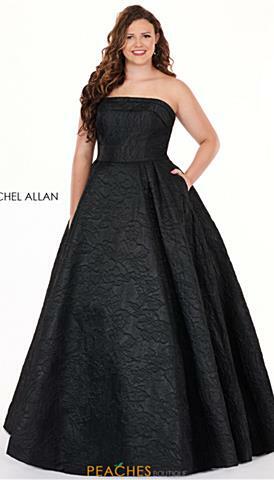 Strapless dresses also come in a variety of short versions that are great for Homecoming, or any high school dance.